Anyways, I saw this image on Friday evening when I should have been working on my project and I fell in love - isn't it the neatest looking house you've ever seen? The house is in Plougrescant in north-western France. Built in 1861, it was situated between the giant boulders to protect it from high winds and storms. It's still owned by the same family who now use it as a vacation home. What do you think? 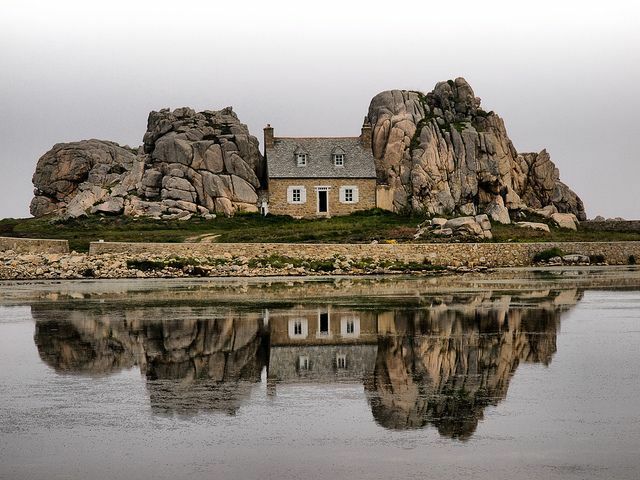 I've always been a bit partial to stone houses, and this one is no exception.